He gives thanks for the seven loaves, hands the bread to his disciples, and 4,000 people eat dinner. The disciples pick up the scraps, but somehow forget to bring any along for the boat ride home. 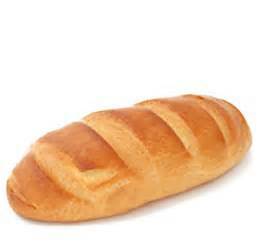 Well, there is one little loaf….but that’s not enough to feed 12 hungry men…..right? The Master asks the next question: “Why are you talking about having no bread?” The embarrassed silence is followed by seven more rapid-fire questions. The men manage to answer two of the eight questions. Followers of Jesus are called to give and serve and feed and clean up after people. The task can appear overwhelming and some days it seems impossible to satisfy the needs of so many. And then Jesus speaks blessing over the paltry offering and a miracle takes place. It’s amazing, but it’s also exhausting. Servants go home tired and realize they didn’t get to eat the miracle meal. Jesus, the great multiplier, is in my boat, where crumbs become a feast. This entry was posted in Devo Drops and tagged bread, crumbs, disciples, Jesus, miracle. Bookmark the permalink.